At least 13 injured after explosion at 125 Second Avenue, a residential and commercial building. Emergency responders are at the scene of an apparent explosion and building collapse in Manhattan’s East Village on Thursday. At least 13 injuries have been reported so far, the Fire Department said. Local reports have indicated the fire and collapse were likely set off by an explosion thought to have been caused by a gas leak. The collapse occurred at about 3:20 p.m. local time on 125 Second Avenue, which is a residential and commercial building. According to Department of Building records, there was a stop-work order on the building. One building at the site appeared to have been partially destroyed while another building was engulfed in flames. Officials said that they could not say yet if anyone was inside either building, although reports have suggested up to 30 people were wounded and an undefined number were trapped in the building. 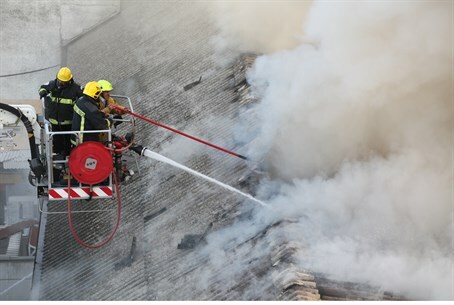 More than 25 firefighting units and 100 firefighters were immediately dispatched to the scene.